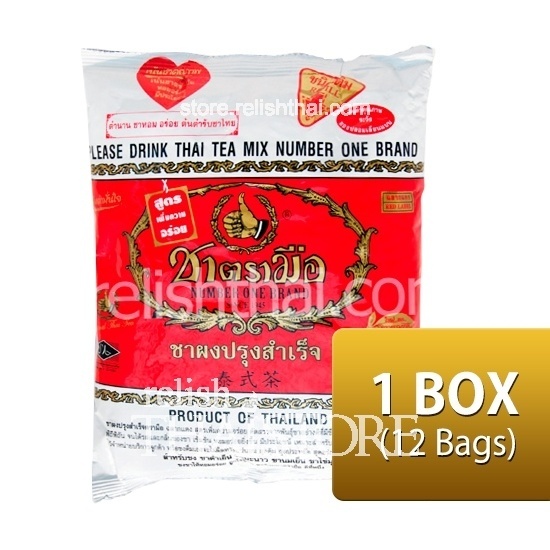 “Number One Brand” Thai Tea is fondly called by tea drinkers in Thailand- "Chaa Traa Muue", which means "The Thumb Brand Tea" - an indication of satisfaction and approval of its taste, flavor and aroma since 1945. 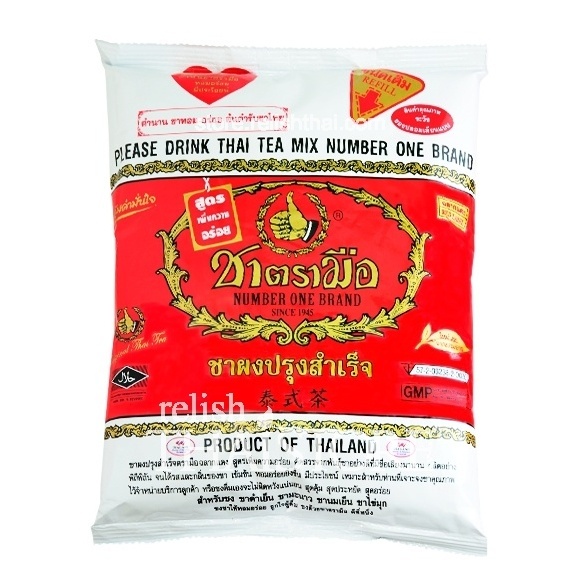 The Thai tea is sold in most retail outlets throughout Thailand and is used mostly to make Thai Iced Tea, Thai Milk tea, and Thai lemon Tea. 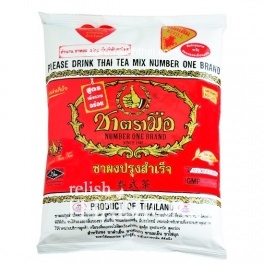 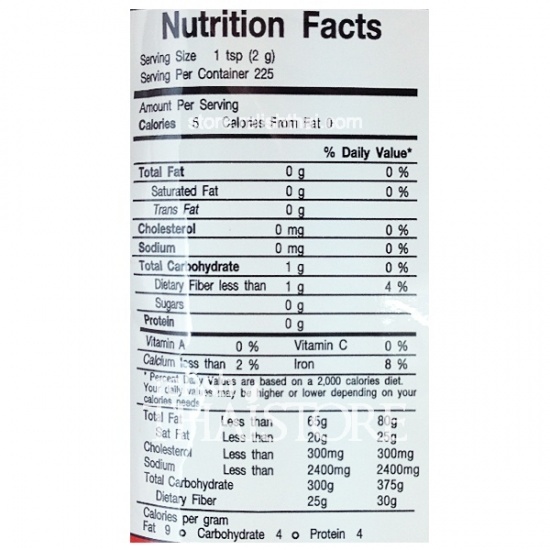 Moreover, the Number One Brand Thai tea is a popular brand which is selected to make Thai Tea Cake by Thai bakers in Thailand.